The records, statistics and facts from the UEFA European Women's Under-17 Championship. Europe's most famous footballing families are supporting a new TV campaign by UEFA which calls on dads to encourage their daughters to play football. Cristiano Ronaldo's overhead kick for Real Madrid against his current club Juventus has been voted UEFA.com Goal of the Season. Nilla Fischer, Fran Kirby and Shanice van de Sanden feature in UEFA's new Strong Is... mini-series. Rita Ora is offering fans an opportunity to meet her as part of UEFA's newest women's football initiative. Runners-up Germany outnumber champions Spain four to three in the official #WU17EURO team of the tournament. See how Spain shocked the holders to claim glory in Marijampole. Germany's Shekiera Martinez, at 16, has written herself into UEFA's record books by scoring nine goals in a final tournament. Spain ended Germany's two-year reign as champions to claim their fourth title. Spain won their fourth title by beating Germany in the final while Finland pipped England to the FIFA U-17 Women's World Cup. Watch the best of the action from the semi-final in Alytus. Watch the best of the action from the Group A match in Alytus. UEFA is delighted to announce it will be the official sponsor of Rita Ora's The Girls Tour as part of our Together #WePlayStrong campaign. Watch the best of the action from the Group A match in Šiauliai. Watch the best of the action from the Group A match in Alytus as hosts Lithuania got their campaign underway. UEFA's ground-breaking weekly vlog Press Play has now had over three million views on the Together #WePlayStrong Youtube channel. A freestyle world champion stars in an incredible keepy-up video across Europe to launch UEFA's #PlayAnywhere campaign, which also features eight top women's players and 13 unique locations. Four top European players feature in the first episode of UEFA's new weekly vlog series designed to increase the visibility of women's football to teenage girls. Spain's Claudia Pina was the leading female scorer in UEFA competitions in 2017, as well as heading the list for UEFA national team goals for men and women. See her in action here. See how the 2017 UEFA European Women’s Under-17 Championship crown was decided in Plzen. Germany have now appeared in – and won – six of the ten Women's Under-17 finals. Watch highlights of all those triumphs, including all three shoot-out successes against Spain. As Germany savour their tense final victory and sixth title, enjoy images from the final and beyond in our gallery of the action on and off the pitch in the Czech Republic. Germany secured their record sixth UEFA European Women's Under-17 Championship title after keeping their nerve from the spot to beat Spain 3-1 on penalties after a 0-0 draw. Germany have been on a "rollercoaster ride of emotions" en route to another final against a Spain side who are approaching the game with caution. On Sunday, Spain will play in the Women's Under-17 final for a record seventh time; watch highlights of their past six including wins in 2010, 2011 and 2015. The 2017 UEFA European Women's Under-17 Championship final will be televised in Europe, the Middle East and North Africa and streamed on UEFA.tv elsewhere. Watch history being made as Germany and Norway fought out the first penalty shoot-out under a new trialled system in the semi-finals. Germany face Spain in the WU17 final for a fourth time in this tournament's ten editions: look back at their rivalry and watch highlights of their past deciders. Germany 1-1 NorwayGermany are through to a sixth final despite missing their first three penalties in a historic shoot-out. Netherlands 0-2 SpainSpain will appear in their fourth straight final on Sunday after two first-half goals saw off the Netherlands. Spain will face the Netherlands in the first of Thursday's semi-finals before holders Germany meet Norway live on Eurosport after the group stage concluded to set the ties. England 0-2 NorwayNorway saved their best group performance for their final game as they set up a semi-final with Germany. France 1-1 SpainSpain came from behind for the draw they needed to set up a semi-final meeting with the Netherlands on Thursday. Germany 5-1 Czech RepublicGroup A winners Germany made it three victories in as many games with a fine second-half comeback, Nicole Anyomi scoring twice to turn the tide. Netherlands 0-0 Republic of IrelandAlready sure of a place in the semi-finals, the Dutch dominated their final Group B game, but could not deny the eliminated Irish a share of the points. Netherlands 2-1 EnglandThe Netherlands qualified for the semi-finals after coming from behind in Přeštice and clinching top spot with a game to spare. Germany 2-1 FranceHolders Germany are through as Group A winners with a match to spare after victory against France, who must now beat Spain. Czech Republic 1-5 SpainSpain bounced back from losing their Group A opener to Germany as they ended the hosts' campaign. Republic of Ireland 0-1 NorwayRikke Bogetveit Nygård's header in the dying minutes handed the Irish a second defeat, and gave her side hope of a top-two finish in Group B.
Spain 1-4 GermanyHolders Germany comfortably won a rematch of the 2016 final to join Friday opponents France on three Group A points. Czech Republic 1-2 FranceA competition-record 10,219 crowd saw the hosts come up short in their Group A opener, Melvine Malard scoring both France goals. Republic of Ireland 0-5 EnglandPoppy Pattinson's early lob set the tone as John Griffiths' side made a big splash in Group B, Jessica Ngunga impressing in Pribram. Norway 1-3 NetherlandsLynn Wilms, Kerstin Casparij and Williënne Ter Beek were on target at the Dutch got off to a positive start in Group B.
Norway are rematched with the Netherlands from qualifying while familiar opponents England and the Republic of Ireland also meet in their opener: introducing the Group B teams. Hosts Czech Republic are up against title holders and five-time winners Germany, three-time champions Spain and regular finalists France in a tough Group A. 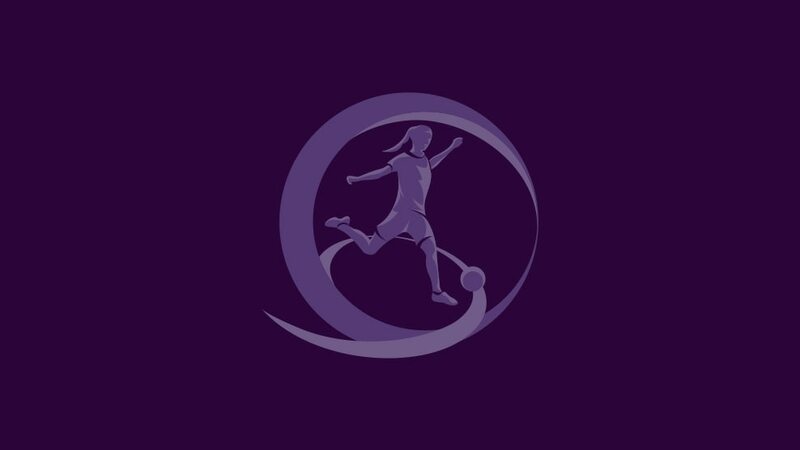 The UEFA European Women's Under-17 Championship finals in the Czech Republic will see the launch of a trial, where the order of penalty kicks taken by teams in shoot-outs will be changed. With the Women's Under-17 EURO due to kick off in the Czech Republic on Tuesday, we look at the contenders, the schedule, the television coverage – and much more besides.